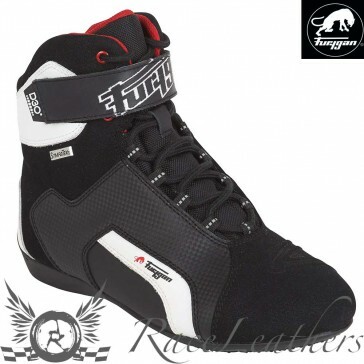 With the Jet Evo Sympatex, Furygan offers a real motorcycle shoe; CE certified, waterproof and equipped with the very best in terms of protection with D3O technology. Try it and you will see. Anti-slip and anti-torsion soles . Unsure About Sizing? Check Out The Furygan Size Guide Here (Opens In New Window). Please note that it is a guide only and not an exact science. When taking measurements, only a fabric tape measure should be used and not a metal one.